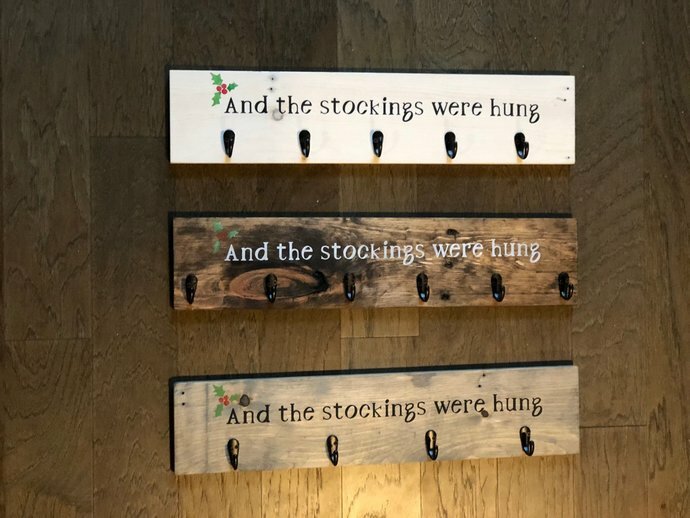 Hand painted wooden stocking hooks sign made from reclaimed wood. 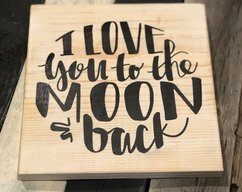 Perfect for homes without a fireplace or mantle! Choose from gray, white, or dark maple stain and 4, 5, or 6 hooks. 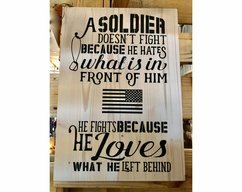 Our âAnd the stockings were hungâ board measures approximately 25â x 5 1/2â. 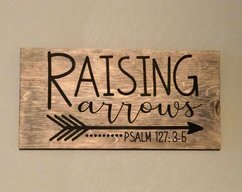 We can create custom versions if you would like a different design, other colors or more hooks! 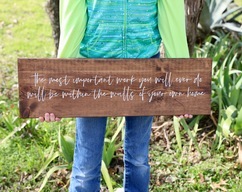 Our reclaimed wood signs come ready to hang.